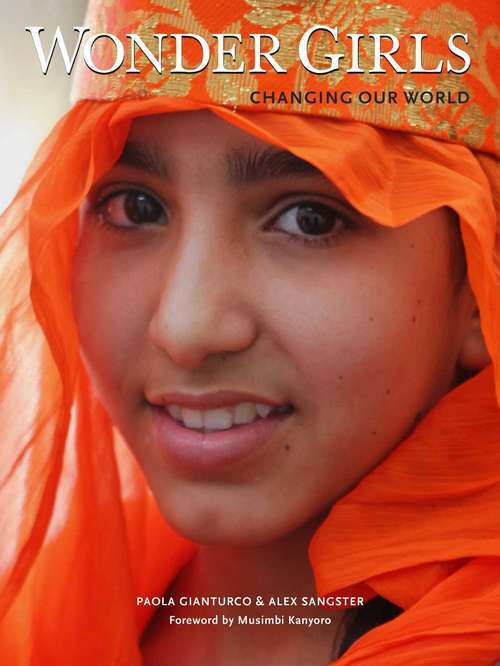 Paola Gianturco and her eleven-year-old granddaughter documented the work of fifteen girl-led nonprofit groups in thirteen countries in Asia and Central Asia, North and Latin America, the Middle East, Africa and Oceania. They interviewed and photographed 102 girls. If you think "girls are the future," prepare to be dazzled. These girls are changing our world right now.Groups of activist girls age 10-18 are transforming our world: improving education, health, equality and the environment; stopping child marriage, domestic violence, trafficking and war. Their imagination and courage radiate through their stories, all told in their own words.In this book, you will watch girls lobby U.S. senators; see Mexican girls invent mobile phone apps to solve social problems; meet Malawian girls who convinced Parliament to outlaw child marriage. You will eavesdrop on Ugandan girls as they advocate for girls' rights at a UN meeting. And you will meet other girls as they write blogs, petitions, poetry, create radio shows, videos, invent dances, songs and works of art to promote their causes.Wonder Girls: Changing Our World is a call to action to help these girls accomplish their important work. Alex Sangster's sections, the finale of each chapter, tell you how.The book's Foreword was written by Musimbi Kanyoro, President and CEO of the Global Fund for Women, the world's largest grant- making organization that benefits women and girls internationally.The Global Fund for Women will receive 100% of the authors' royalties from this book.